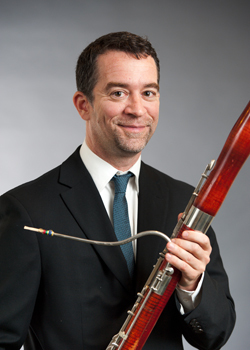 New Jersey Symphony Orchestra bassoonist MARK TIMMERMAN was Principal Bassoon of the Metropolitan Opera for one season. A native of Davenport, Iowa, he is a graduate of the Curtis Institute of Music; he also studied at Temple University and the University of Michigan. 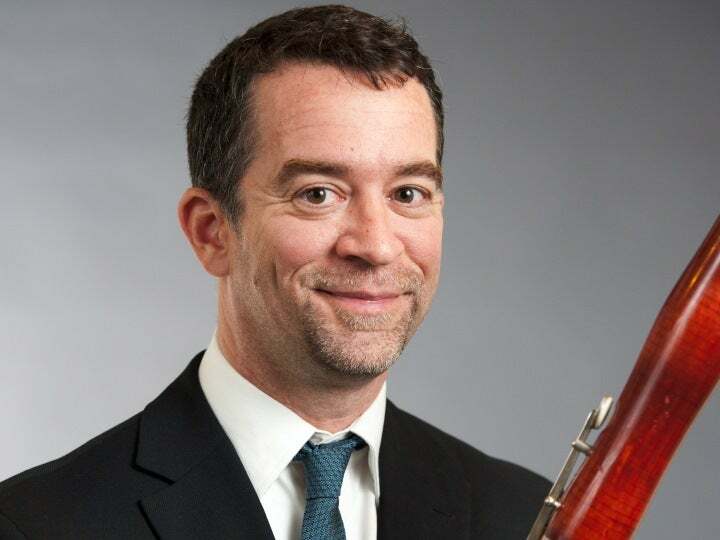 An accomplished orchestral player, Timmerman has performed with the New York Philharmonic, Chicago Symphony Orchestra, Philadelphia Orchestra, National Symphony Orchestra, Orpheus Chamber Orchestra, Buffalo Philharmonic and Hawaii Symphony Orchestra. Music festival appearances have taken Timmerman to Japan, the former Soviet Union, Italy and Brazil. He has participated in the Marlboro Music Festival in Vermont, including several Music from Marlboro U.S. tours and an appearance on American Public Media’s “Saint Paul Sunday” radio program. MUSICAL INFLUENCE: My mother, who is a gifted amateur singer and pianist. She ensured that there was lots of music in our household growing up, and she still maintains a small piano studio in Iowa. ADVICE FOR YOUNG MUSICIANS: The more you practice, the more you improve. The more you improve, the more fun you have. The more fun you have, the more you’ll want to practice! Also, listening to great musicians who play your instrument is a great way to expand your vision. FAVORITE SPORT: I was on the wrestling team in high school, but I mostly lost! Now I lift weights, do cardio and recently discovered the wholesome benefits of yoga. I also love skiing, bicycling and hiking. POLKA PUNS: In 2008, I teamed up with an old friend from my Curtis Institute days, Lara St. John, to form Polkastra, a classical-based polka band. We are about to release our second CD, “A Wedding Album,” and it includes tunes such as “Wagner’s Bridle March,” “A J.S. BACHelor Party” and “The Kosher Chicken Dance.” It’s toe-tapping fun—we laughed a lot during the recording session, and a lot of our music came from the moments when we were being silly and coming up with ideas for songs and names. BEST CONCERT YOU EVER WENT TO: I heard a performance of Tchaikovsky’s Fourth Symphony when I was 10 years old. I was captivated from the first note to the last, and as soon as it ended, I wanted to hear it again instantly. FAVORITE FOREIGN COUNTRY: Italy. The food, the music, the natural beauty … what’s not to love? TRAVELS IN MUSIC: I just returned from the St. Barts Music Festival, which is a great gig—I got to perform with members of the orchestras of Chicago, Los Angeles, Philadelphia and Boston. METS OR YANKEES: I went to my first Yankees game last year, and I had a great time. FAVORITE ICE CREAM FLAVOR: Vanilla. IF YOU COULD REMAIN ONE AGE FOREVER, WHAT AGE WOULD IT BE? I’ve enjoyed all points along the ride so far. Different ages are like different seasons—they each have unique qualities. WHY MUSIC MATTERS: Great music keeps us in touch with what is beautiful in the world. I cherish the moments on stage when I get blindsided by a ravishing harmonic progression or a heavenly turn of phrase.